Connecting Nothing with Something | Unofficial Britain. 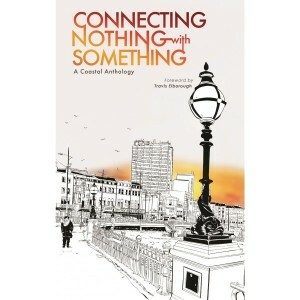 Connecting Nothing with Something explores the conflicted and shifting landscape of the south east English coast. This anthology looks at art led regeneration, hidden history, the ghosts of youth culture, white cliffs, empty holidays and kisses under the pier. Through fiction, poetry and illustration, the collection shines a light on life at the periphery of an island nation. Featuring, Salena Godden, Iain Aitch, Katrina Naomi, Dan Cockrill, Rowena Macdonald, Chimene Suleyman, Owen Booth and many more, including a foreword from Travis Elborough. Simon Spanton– Associate Publisher, Gollancz.